​Miguel is a 40 year old husband and father living in Jalisco, Mexico. At the young age of five, Miguel and his sister were walking home from school one day. On their way, as they headed towards the train tracks, a long train was approaching. Miguel screamed at his sister to hurry and cross so that they would not have to wait for the train to pass. Unfortunately, while Miguel was crossing his foot got stuck and while using his free foot to kick off his stuck shoe, the train ran over both his legs. After that tragic day, Miguel’s life was changed dramatically. 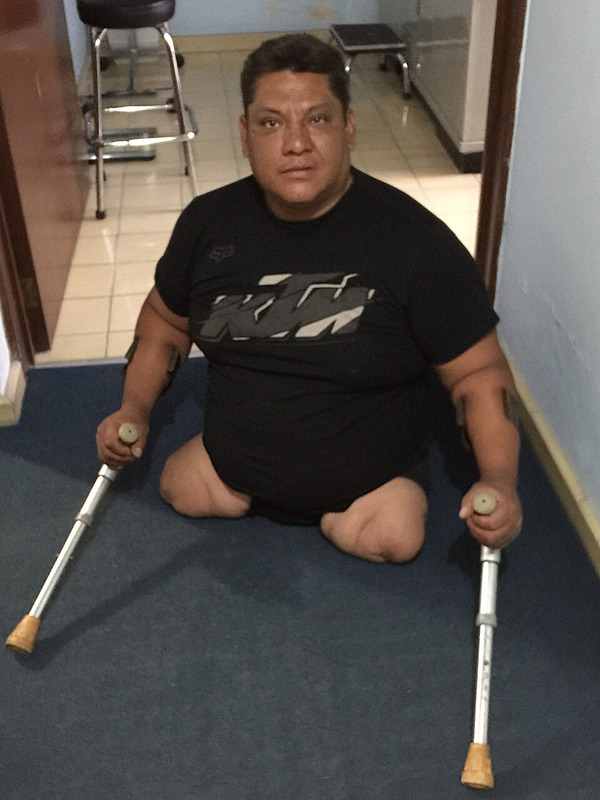 For two years, he was in a coma and when he finally awoke, he reached down and realized that his legs were missing. Life became very complicated for him and his family. Because he could not walk, he was unable to attend school and socialize with children his age. In fact, children and most adults would avoid him. The next 9 years he became very depressed, alone, and preferred to just lie in bed most days. Despite his injuries, Miguel was able to finish school and find a job. He started to make a decent living and eventually found the love of his life, and got married. He now has two young children and dreams of the day that he can walk and play with them.